The popular maduro-wrapped ACID Red Nasty, in a pack of 5, is a tasty little smoke. It features herbs, spice, and everything nice, including cinnamon, black cherry, and nuts. You will definitely want to take this tapered little Figurado for a test drive. What a great little cigar. 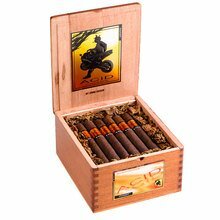 This cigar has a sweet, fruity and clove scent to it however thankfully you don't taste those flavors as you smoke the cigar you only smell those scents in the smoke. I do wish that Drew Estate would bring back the Nefasto which is the big brother to the Nasty. A non conventional change of pace. Not too nasty. These cigars are polarizing. With their radical shape and infused flavor, they buck the trends of conventional cigar manufacturing. Personally I enjoyed the change of pace from 'traditional' cigars so I can say I enjoyed this one. Lots of herbal flavors, some cinnamon and clove along with a short smoke makes this a pretty interesting choice. Would definitely keep a few on hand for something different once in a while. I couldn't get past the flavor and smell. Smelt like I was smoking an cologne sample. I wouldn't recommend these if you're into traditional types of sticks, this one is just to way out there for me. Acid label, in general, are great! Nasty version, is NASTY; not recommended at all by me! As usual a Drew Estate great cigar! REALLY good cigars ,it's still my favourite! 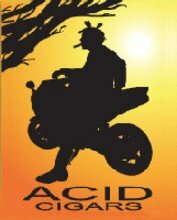 All of ACIDS PRODUCT ARE THE BEST ......TRY A BOX YOU'LL Be surprised at how really good a smoke can be ! One of my first pyramids I've ever had. Was impressed with the infused flavor. Good smoke and aroma didn't overwhelm with too much spice. Was excited to get these in auction. Was sweet but taste was awful. The pyramid shape was hard to get use to. Maybe I didn't cut enough off. For the money you should get the very tasty Natural Dirty that's also made by Dwew Estates. Horrible taste with no flavor or aroma. I love many of the Acid cigars, but not this one. The name says it all. 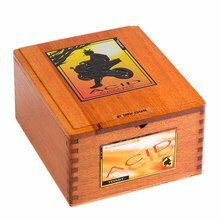 I stumbled upon acid cigars about 4 years ago and I really enjoyed this cigar draw was great and the cigar, despite its size, lasted a good 30 minutes. Burn is really nice to!